If you've ever wanted to take a selfie on Hoth, play a sound clip of Darth Vader's "What?!" in response to an annoying question, or get major Star Wars news right when it's announced, you're in luck. 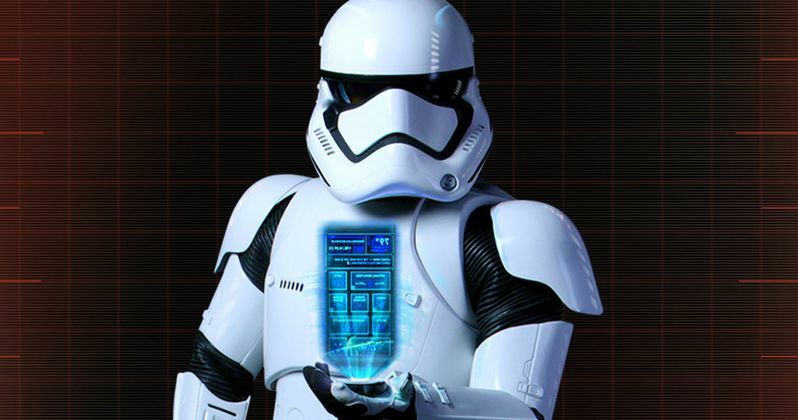 LucasFilm has introduced the official Star Wars app, which lets you do all this and more. Available now for iOS and https://play.google.com/store/apps/details?id=com.disney.starwarshub_goo|Android devices, the Star Wars app brings together a set of fun, innovative features, is completely customizable, and connects you to a galaxy far, far away - all the time, anywhere. To kick things off, be on the lookout for special posters (previewed below) at Lucasfilm's booth (#2913) at San Diego Comic-Con this week. Using the app's augmented reality feature, you may be able to reveal, take pictures, and shoot videos of some new friends and foes. If you do, share them with #StarWarsApp. Take a look at some of the features on this Star Wars app below. Along with this new app, LucasFilm has also unveiled a gameplay trailer for the mobile game Star Wars: Uprising, which will be the first game to take place between Star Wars: Episode VI - Return of the Jedi and Star Wars: The Force Awakens. The game centers on a group of smugglers, freedom fighters, bounty hunters, and gangsters in the Anoat sector, who come together to take down the Iron Blockade and help the Rebel Alliance. The game will also take place in iconic locales such as Hoth and Cloud City. Star Wars Uprising won't be available to download until this fall, but fans can pre-register at PlayStarWarsUprising.com. Check out the trailers for the Star Wars app and Star Wars Uprising, along with new photos from the app.